Most of us plant annual flowers because they will bloom for months, giving us color all season. Plants we call annuals are really just perennials that are not hardy outside of tropical climates. So one gardener's annual may be another gardener's perennial—or houseplant. For most us in North America, flowering plants sold in nurseries are meant to be enjoyed for one season before they die. 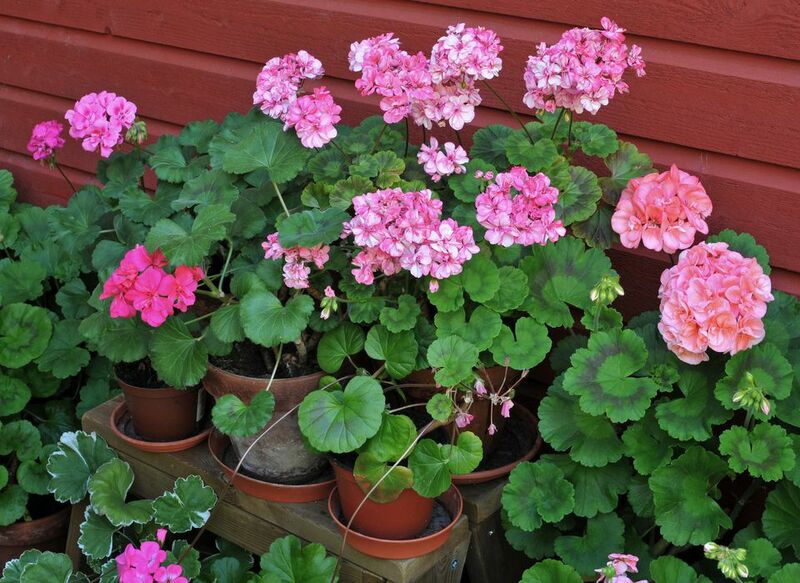 To keep them blooming as much as possible, choose the right plant, water and feed it well, and keep it groomed. Plant breeders have done a great job of creating flowers that seem to bloom nonstop, many with no help from us. Most are quite lovely, but they tend to be on the short side. The reason may be that short plants are easier to ship and display. But some of us still grow sizable old-fashioned annuals, like love lies bleeding (Amaranthus caudatus) and tall flowering tobacco (Nicotiana sylvestries), as well as a good assortment of traditional annual flowers that need a little grooming to keep them looking their best. When choosing annual flowers for maximum blooming, look for young, bushy plants with no flowers. These will acclimate better in the garden than plants that have become pot-bound or that are already going to seed. Always choose plants for your growing conditions. Don't try to fudge it with limited sun or overcook flowers that need partial shade. New plants aren't established enough to take that kind of stress. Get the new plants in the ground or pots as soon as possible after purchasing them. Don't let them outgrow their pots. Give them time to get adjusted to being in the ground while they are still young and growing. Water the plants immediately after planting, even if rain is predicted. Annuals don't have deep root systems. Water them whenever the soil feels dry about 1 inch below the surface. Even drought-tolerant annuals will bloom better if they get regular watering. By high summer, that can mean watering some containers more than once a day. Water is vital, but you don't want your plants sitting in wet soil, which will cause the roots to rot. Plant them in well-draining soil. That means soil that holds the water long enough for the roots to soak it in while allowing the excess water to eventually drain off. Annuals expend a lot of energy setting buds and blooming. Even in soil rich in organic matter, it helps to feed them every three to six weeks with a water-soluble fertilizer. Heat can leave your annuals wilting every afternoon. Giving them a good, deep soaking in the morning will prepare them to handle the afternoon sun. Even then, there will be days when leaves will become crisp and dry. Don't be afraid to cut these off and prune the plants back to healthy leaves. They will regrow quickly. Mulching helps keep the shallow roots of annual flowers cool and moist. The major drawback to mulching is that it inhibits re-seeding, so try not to mulch until the volunteers from last season are up and growing. Deadhead often. Remove faded flowers and don't let seed pods form. This is most important with older varieties of plants that hold onto their old flowers, like geraniums, marigolds, pansies, petunias, salvia, snapdragons, sweet peas, and zinnias. Many modern hybrids have been developed to be self-cleaning. Their faded flowers seem to disappear as new buds form and open. (Unfortunately, most are sterile, so they will never produce seed.) Ask at the garden center whether the variety you've chosen needs pinching to become fat and bushy and set lots of buds. Even some older annuals, like the popular flowering tobacco (Nicotiana alata), impatiens, sweet alyssum (Lobularia maritima), Wave™ petunias, and wax begonias, do not require deadheading to stay in bloom. It's nice to include some annuals that need minimal maintenance, but if your flowers appear to be slowing down and there are a lot of faded flowers hanging on, it's a good bet they will benefit from some grooming on your part. They'll look better and grow busier if you keep them neat. If you have plants that start to look ragged in midsummer, don't be afraid to prune them back by several inches. For example, petunias can get long and leggy and will look better if they are cut back to 3 to 4 inches long, encouraging them to send out new growth. Coleus will grow straight up if not pinched regularly until it fills out. If you are going away for a week or two in the summer, prune your annuals just before leaving and they'll be back in bloom when you return.